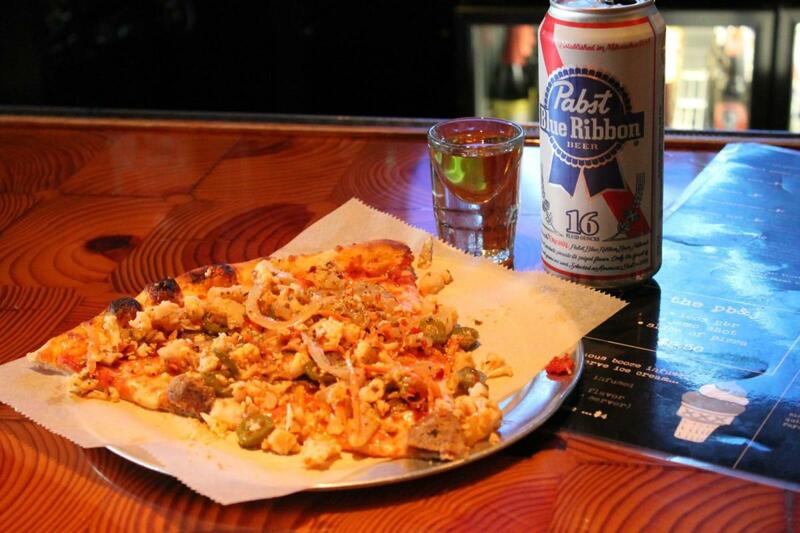 Don't let the clock hold you back from enjoying some of the best munchies in Chicago. We all know that familiar, late night stomach grumble. 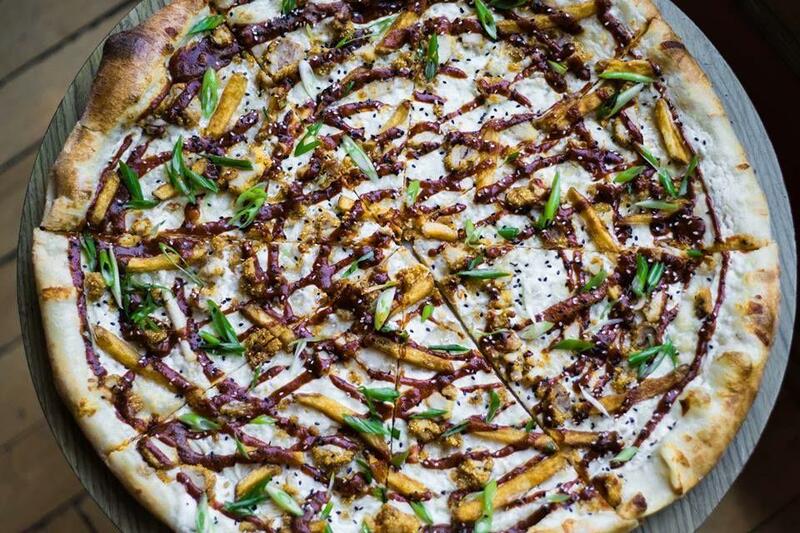 It's an insatiable feeling that can only be calmed by cheese fries, Pad Thai, tacos or whatever else you desire after 10 p.m.
To find out what Chicago restaurants and bars serving the best late night food, check out our guide below. Avec is a popular Restaurant Row destination during normal dinner hours but its kitchen is open until midnight Sunday through Thursday and 1 a.m. on Fridays and Saturdays. Duk's was formerly known as Donald Duk's Red Hots until Walt Disney sued the Chicago hot dog stand in 1957. 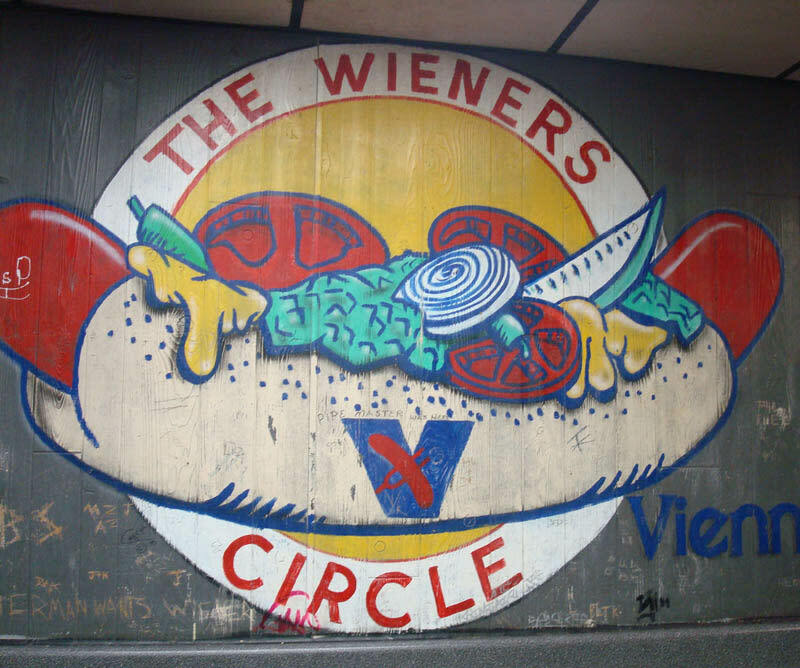 Luckily, an abbreviated name was all it took for the greasy spoon to continue serving chili dogs, Polish sausages, cheeseburgers and other classic nighttime bites. It's open until at least 12 a.m. most night and is 24 hours on Fridays, Saturdays and Sundays. Logan Square's favorite pizza-by-the-slice spot takes food orders until 1:30 a.m. (2:30 a.m. on Saturdays). We're not claiming a late night al pastor burrito is the best way to curb a hangover, but we're also not not saying that. This taqueria is open until 1 a.m. Sunday through Thursday and 3:30 a.m. on Fridays and Saturdays. You're not a true Chicagoan until you've ended a night with one of Big Star's walking tacos. 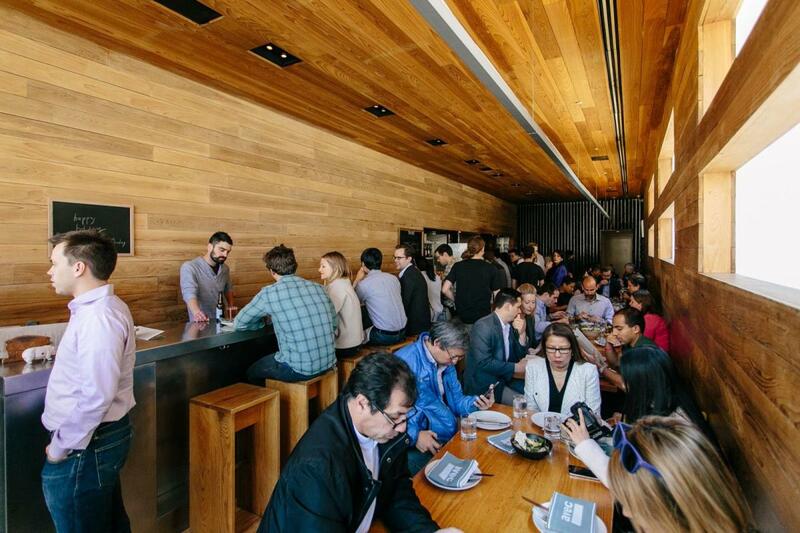 The Wicker Park kitchen serves that (and more) until 1:30 a.m. (2:30 a.m. on Saturdays). Big Star's new Wrigleyville is also open late on Fridays (1:30 a.m.) and Saturdays (2:30 a.m.). Need biscuits and gravy at 1:45 a.m. on a Wednesday? White Palace Grill has been serving its customers 24 hours a day, 365 days a year since 1939. Both of Dimo's locations serve up slices with obscure and delicious toppings like hot dogs and mac & cheese well past midnight. 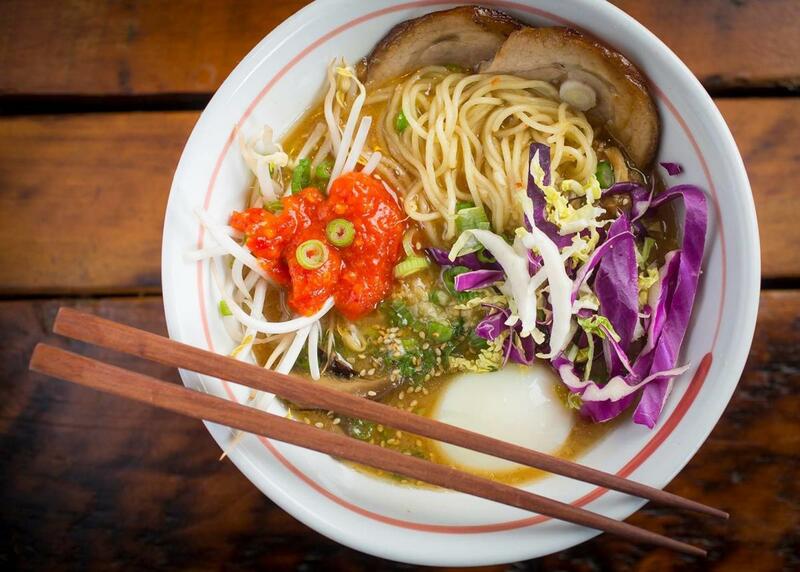 It seems like there's a Furious Spoon popping up in every neighborhood of Chicago, which is a good thing if ramen is your go-to late night craving. The locations above are open until at least midnight most nights. It's 2 a.m. Your belly is full of beer. Think about how good some fried shrimp, catfish or maybe even crab cakes sound right now. They're all served up 24/7 here. Late night barbeque? Yes, please. That's what Lem's is for. We're frequent flyers at Redhot Ranch. Its fried shrimp can't be beaten and the burger is one of our favorites in the city. Both locations are open until 4 a.m. every night (5 a.m. on Saturdays). Get a chocolate shake like you've never had before (plus, burgers, char-dogs, fries and other snacks) until at least 4 a.m. from the famously sassy staff at The Weiners Circle. Tacos 24 hours a day, seven days a week. It's like a preview of heaven. Taqueria Huentitan's birria is a Humboldt Park favorite and you can get it until 3 a.m. every night except on weekends when the restaurant is open 24 hours. Meat eaters, vegetarians and vegans can all find late night solace in this Indian restaurant—open until 4 a.m. every night. We promise we will never ever fault you for wanting breakfast food at weird hours of the day. Neither will Golden Nugget. All locations serve bacon, eggs, waffles and other classics 24 hours a day. 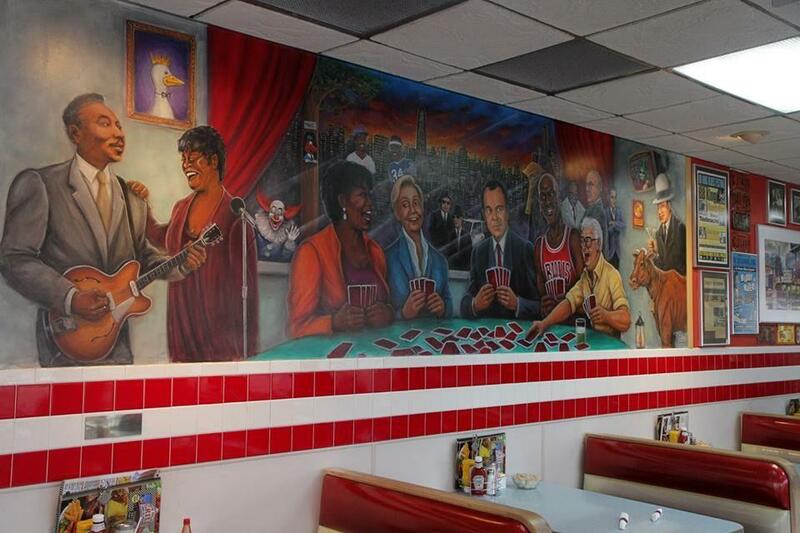 Huck Finn's is the South Side's favorite destination for 24-hour diner food and donuts. 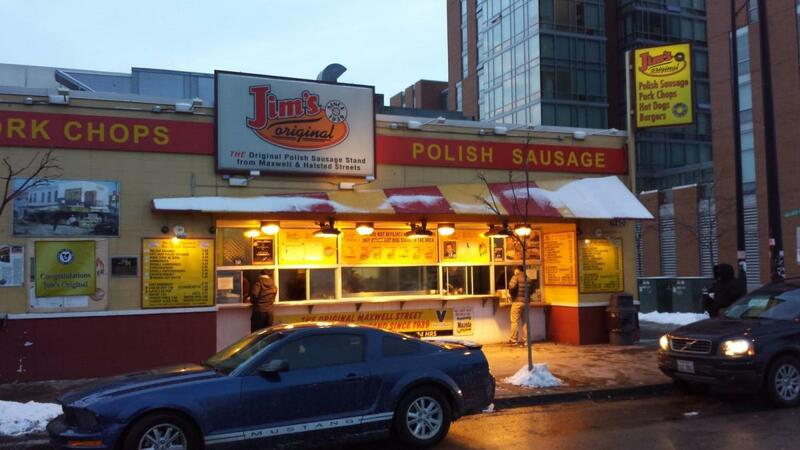 Jim's is the originator of the "Maxwell Street Polish Sausage Sandwich." Try the OG for yourself 24 hours a day at either of its locations. This is another excellent 24/7 spot for cheap, delicious, authentic Polish sausage sandwiches. The burgers and pork chop sandwiches aren't bad either. Unsurprisingly, the go-to order at this 24-hour diner is the steak and eggs. You can't go wrong. Twenty-four hour a day dim sum get a thumbs up from us. When you serve up perfectly greasy, delicious diner food like omelets and club sandwiches 24 hours a day, you don't have to worry about making your dining room look too fancy. We learned that valuable lesson from Belmont Snack Shop. In the mood to eat a 4:30 a.m. burger at a 50+-year-old diner? Check. Originally, this night owl only opened its kitchen after 9 p.m. Now, you can grab noodle dishes and sushi during daytime hours, too, but it's the 4 a.m. closing time that still comes in most clutch here. Everything on Fatso's menu makes us drool. The char-dogs, the jumbo fried shrimp, the mac & cheese—it's all just so beautiful. The doors here close at midnight Sunday through Thursday, but they're open until 4 a.m. on the weekend. 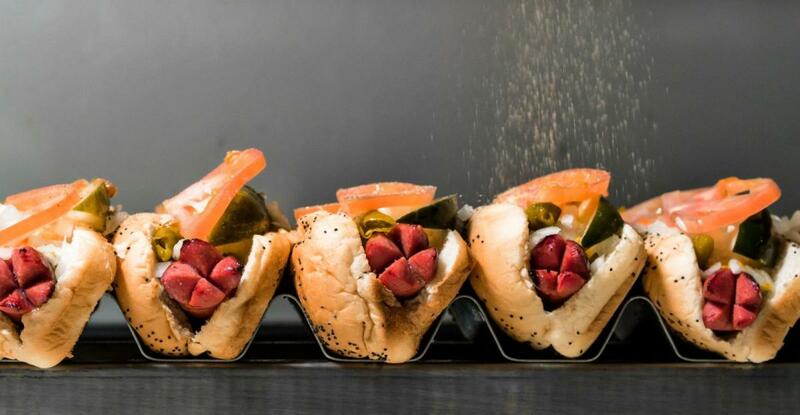 Clark Street Dog always seems to emerge as a favorite when discussing Lakeview's many late-night options and for good reason. Don't kid yourself when you go to order here. Get the hot dog. 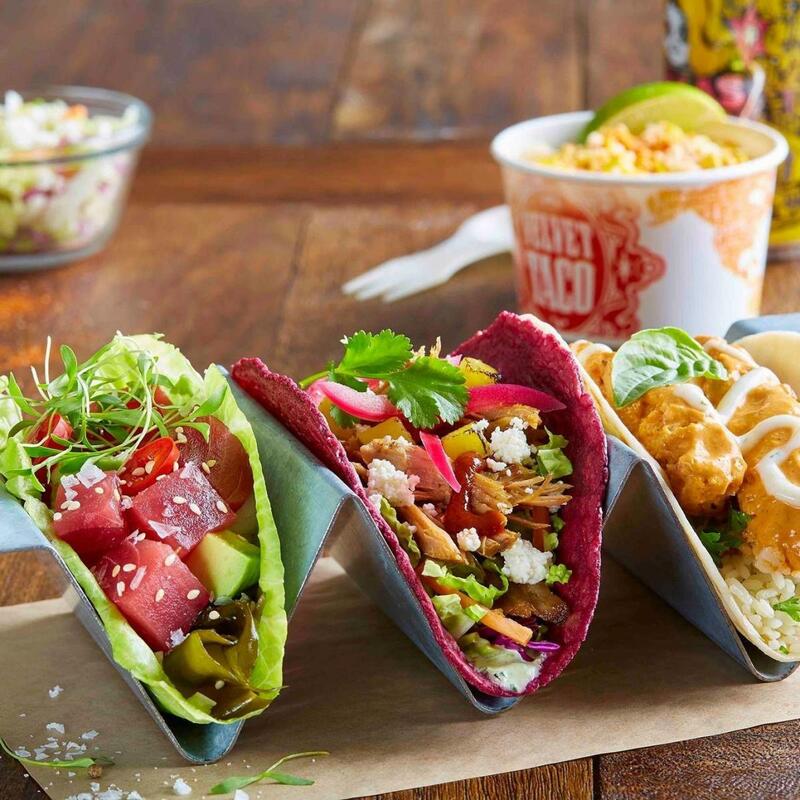 Late night, upscale tacos in Gold Coast? Yep. There's a place for that. 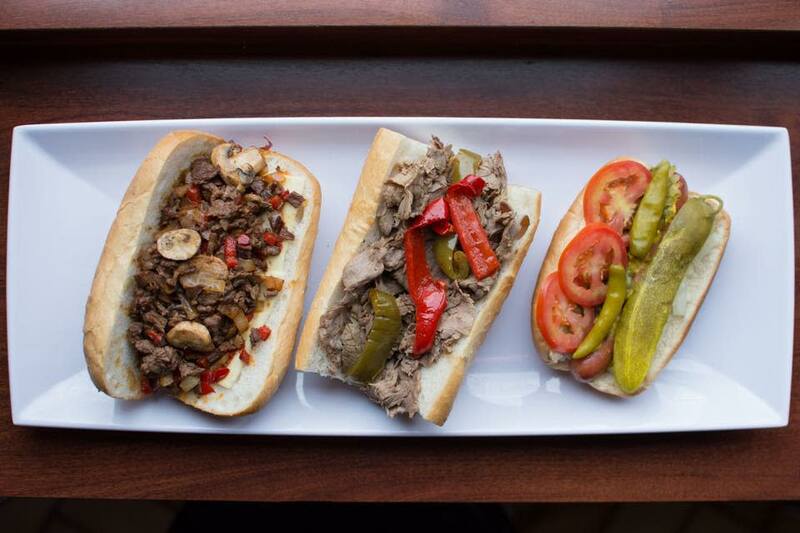 What kind of Chicagoans would we be if we didn't have Italian beef on this list? Al's River North location is the only to stay open until midnight every night (except Sundays) and serve up that sweet meat until 3 a.m. on Fridays and Saturdays. If you've ever attended DePaul University or caught a show at Lincoln Hall, you have no excuse for having not stopped off at this neighborhood favorite. 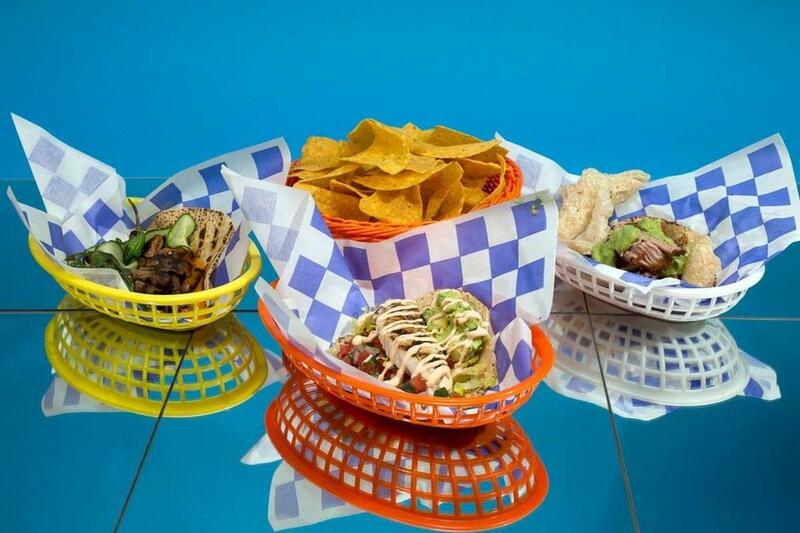 Home to one of our favorite salsas in the city, Allende's tacos, tortas and burritos are the best on the block. If dive bars and nighttime pierogi is your thing (and why wouldn't it be? ), prepare to raise a glass to this place. The side dishes alone (elote with fried avocado and bacony pan-fried Brussel spouts for starters) make this Andersonville bar and restaurant worth visiting. The kitchen is open until a half hour before close every night. Estelle's kitchen—if you can call it that—is open until 3:30 a.m. every night (limited menu after 3 a.m.). The amount of Southern-inspired tastiness that the bar's tiny fryer and flattop setup pumps out never fails to impress us. 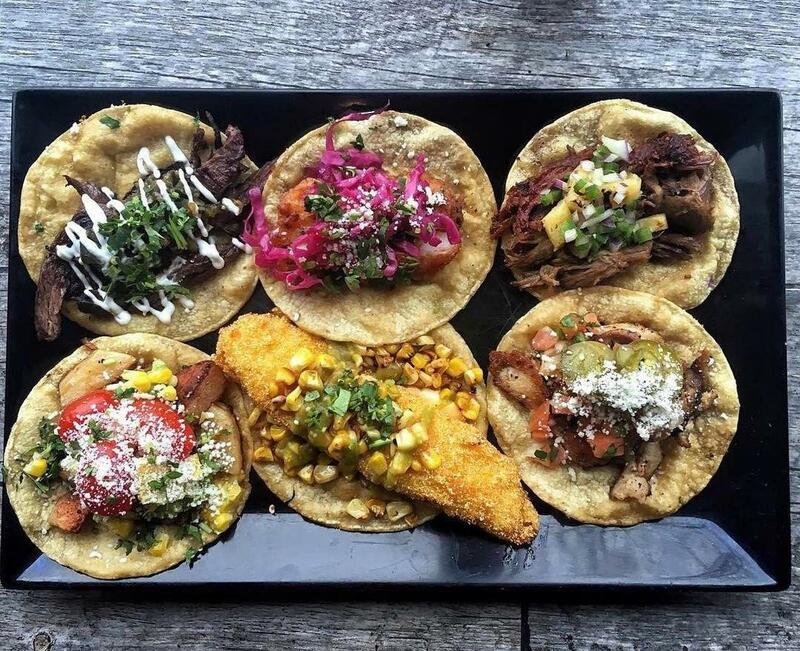 Located inside the Moxy hotel, Zombie Taco is River North's only 24-hour taco window. After a devastating fire in 2016, our favorite 24-hour burger joint and home of the "Slinger" (a double burger smothered with two sunnyside up eggs, cheese, hash browns, onions, chili and served with a side of toast) is finally back! Funny, so are our appetites. Dante's finally made our dreams come true by including a full bar in its newest location in Humboldt Park. The restaurant/bar serves pizza by the slice, strombolis and more until midnight every night. Claudio is his name. His red cooler full of freshly made tamales has brought nocturnal bliss to countless Chicagoans over the years. He's a hero. There's no denying that. Keep an eye out for him (and several other traveling tamale copycats) at kitchen-less bars across town. If you're specifically aiming for a run in, try tracking him down!